"Get the complete top 75 list in PDF version. 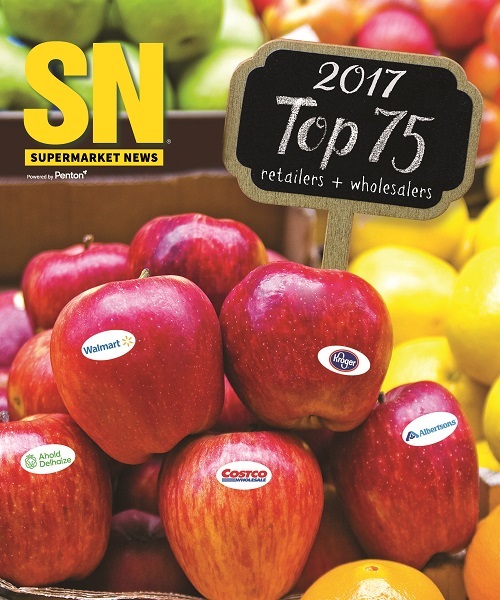 The Top 75 report lists the largest food retailers and wholesalers in the U.S. and Canada, ranked by total North American sales volume. For each company, SN cites the headquarters city, top executive, number of stores, and fiscal year-end date. The list is also broken out by largest alternative formats, largest wholesalers and largest Canadian companies. In addition an alphabetical listing is also provided."